If you haven’t noticed, it’s freezing outside, and there’s no sign of these frigid temperatures warming up anytime soon. Unfortunately, this means we don’t want to go outside and are looking for ways to warm up beside the heat coming from the radiator. Why not venture to a place where you won’t mind the cold? Just a couple of hours outside the city there are some cozy hotels where you can curl up, enjoy a good meal, and relax by the fire. Here are five spots to go upstate where you will happily catch cabin fever. 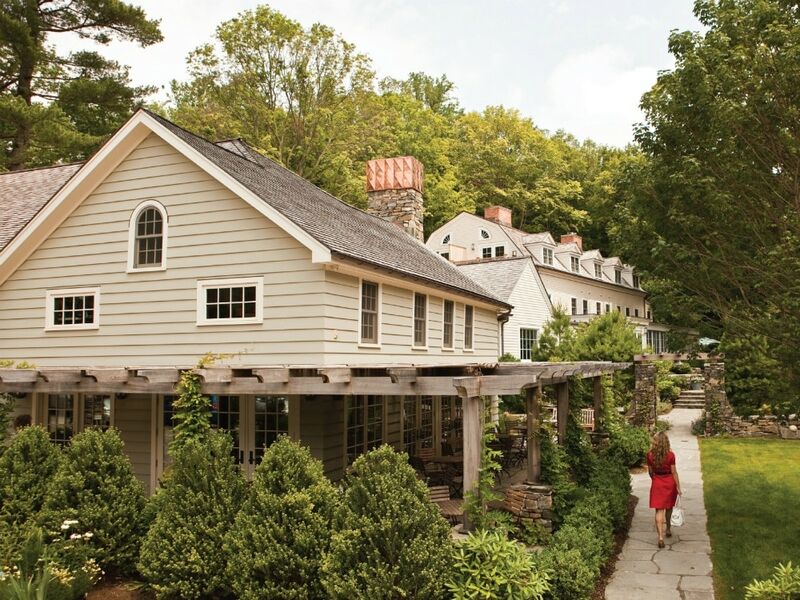 Located right next to Hunter Mountain, this 38-room lodge was originally built in the 1960s. It has since had a major overhaul, reopening in 2016 as a swanky respite from the city. Here you’ll find whitewashed walls and bedding with colorful pieces of artwork and eclectic furniture throughout the property. You never have to leave if you don’t want as there’s an onsite locally-inspired restaurant, yoga and craft classes, communal board games, and a central fireplace in the lobby. But if you get antsy, there are 20 acres of the mountainside to explore. 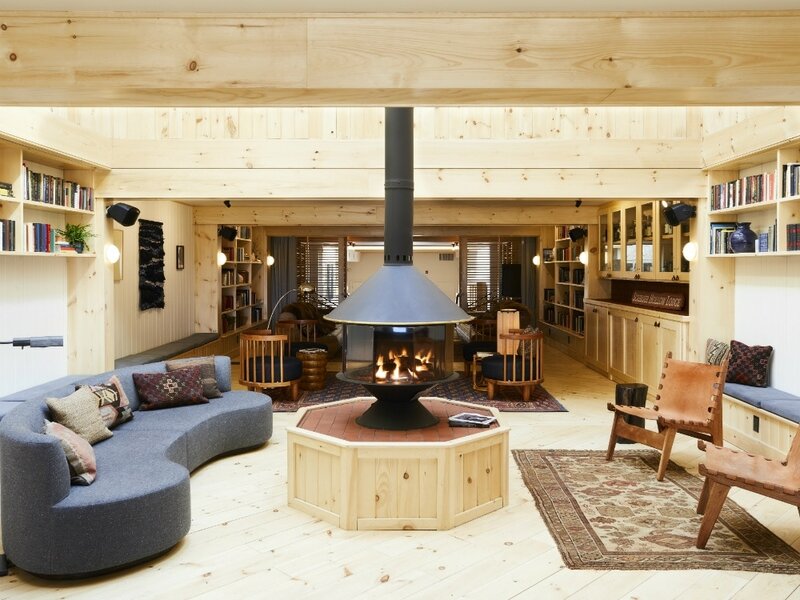 The Arnold House is the epitome of a winter Catskills getaway. 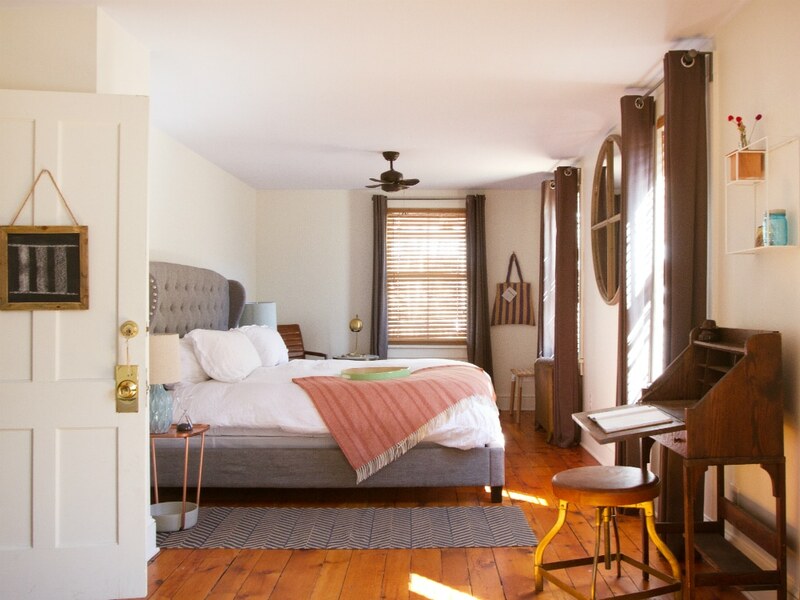 Located on Shandelee Mountain, near the quaint yet buzzy town of Livingston Manor, the 11-room inn has that complete campy vibe. The lobby area has a roaring fireplace with Pendleton blankets to snuggle up in, and the Tavern restaurant serves up comfort foods and cocktails. Guests can also play a couple of rounds of pool or sing along to the jukebox tunes. Book a massage at the onsite spa to warm up those cold muscles or book an outdoor activity such as ice fishing, cross-country skiing, or snowshoeing. This eight-room boutique hotel is perched on the Delaware River in the town of Callicoon and was built in 1884. Though it’s only a short walk to Main Street lined with antique shops, art galleries, and restaurants, the property also has multiple public gathering spaces of its own. Warm up by the lobby fireplace or head outdoors to enjoy the winter bonfire. And don’t be surprised if you find a hot chocolate bar set up for a sweet treat. When it’s time to retire for the evening, you’ll fall asleep in a simply decorated room often complete with claw foot tubs. Whether you book a room in the main house from 1764, carriage house, or modern guesthouse, you will escape the winter cold. Many units have fireplaces, and some even have Jacuzzis. You can also take advantage of their on-site spa complete with sauna and steam rooms to melt away any lingering frostbite, much on some complimentary snacks from the local bakery, or enjoy a meal at the property’s Henry’s At The Farm restaurant. Even though this Relais & Châteaux property is only about an hour outside Manhattan, it feels a world away. With only eight rooms available (many with fireplaces), you will feel like you’re getting a secluded getaway. Enjoy not one, but two restaurants on site and participate in daily yoga classes at The Yoga Loft. Oh, and the whole property is surrounded by woods, so you’ll feel at peace with nature no matter what the temperature is outside.